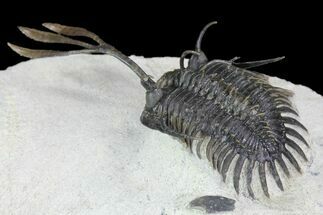 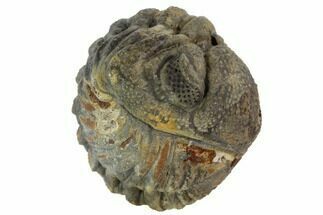 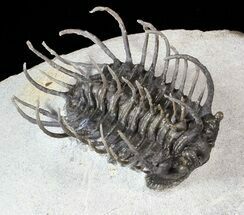 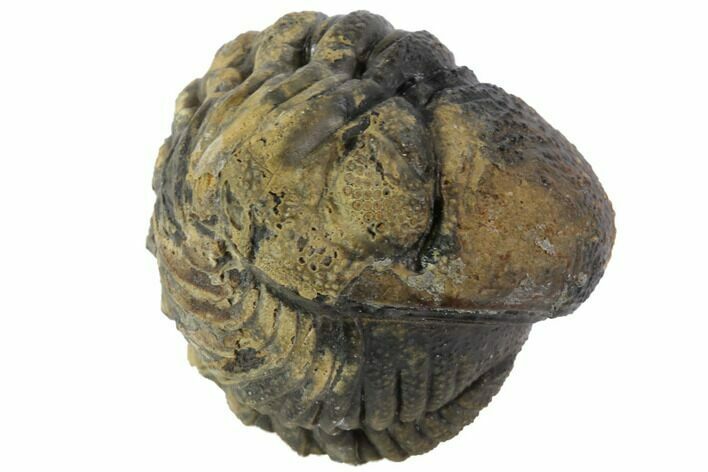 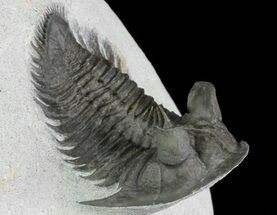 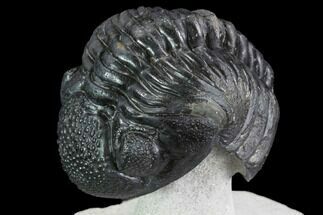 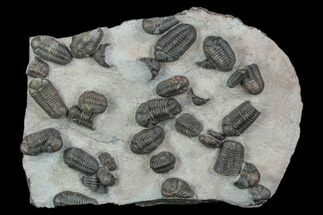 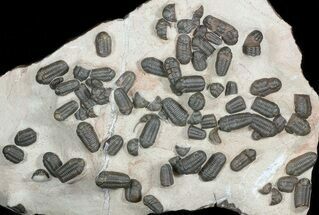 This is a very bumpy example of a Barrandeops (Phacops) trilobite from Morocco. 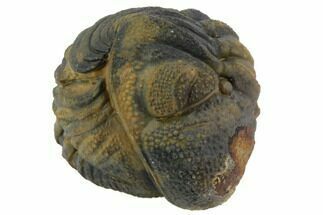 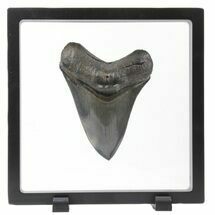 It has been cleaned with air abrasives and is completely free of the surrounding matrix. 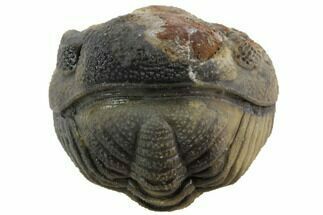 There is some weathering to the shell, but it still shows a lot of surface detail including many of the eye facets.